Anthony Hilton, Financial Editor and economic leader writer for the Evening Standard, and visiting Professor in Economics Business and Finance at London Metropolitan University, is now in his fifth decade in journalism. Over the course of his career, Anthony has received most of the senior awards in business journalism, including the Decade of Excellence Award, the European Business Journalist of the Year Award, the Wincott Award and the Financial Journalist of the Year Award. In 2010 he received an honorary doctorate from Aberdeen University in recognition of his outstanding contribution to financial journalism. Anthony joined Fleet Street in 1968 as a Trainee on the Guardian after graduating in economics from the University of Aberdeen. He was City Editor of The Times, 1981 to 1983 and City Editor of the Evening Standard from 1984 to 1989. In November 1989 he became Managing Director of the Evening Standard, a post he held for six years before returning to the City Office as Editor in 1996. He has also worked for the Observer, the Daily Mail and the Sunday Express, was Editor of Accountancy Age and has served in New York as Business Correspondent for the London Sunday Times. He made regular appearances on television and the radio, and has written several books on Finance and the City. In addition to journalism Anthony has had a successful and varied commercial career – as Managing Director of the Evening Standard and a Board Director of Associated Newspapers, serving as a Non-executive Director of various companies, and launching several magazine and publishing companies. 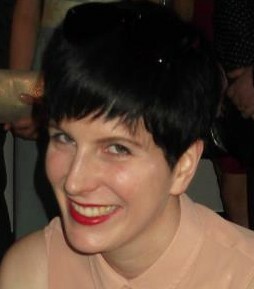 Michelle McGagh is a freelance financial journalist and former Editor of the award-winning New Model Adviser magazine. She now writes for both consumers and financial advisers, specialising in pensions, tax, savings and mortgages, as well as business issues. In addition to numerous appearances on television and radio, Michelle has written for a diverse range of publications from Citywire Money and AOL to The Sunday Times and Money Observer. She has also edited numerous financial publications. Working with Witan since 2013, she is Associate Editor of Expert Adviser, the Association of Professional Financial Advisers’ flagship publication. 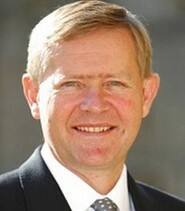 Sir Paul Newton was educated at Sandhurst, Camberley and Cambridge University. He completed eight operational tours in Northern Ireland and two tours in Baghdad. In 2003 he became the Chief of Defence Staff’s Liaison Officer to the Chairman of the US Joint Chiefs in Washington. Deploying to Baghdad in 2004 as the Deputy, Strategic Planning in HQ Multi-National Force Iraq, he was awarded the US Legion of Merit. In January 2005 he took over the UK Joint Headquarters’ Intelligence Division. Promoted to Major General in February 2006, he returned to Baghdad to lead the Coalition reconciliation effort, for which he was awarded a Legion of Merit, First Oak Leaf Cluster. He later ran the MOD Development, Concepts and Doctrine Centre producing Global Strategic Trends, the first UK doctrine for stabilisation and the MOD position paper on the Future Character of Conflict, in time for the Security and Defence Review. In April 2010 he became Commander Force Development and a member of the Army Board, charged with leading and driving change. He was awarded a KBE in 2012. 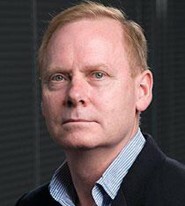 Upon leaving the Army, Paul Newton founded and became first Director of the Strategy and Security Institute, working on contemporary global security issues through innovative teaching, policy-facing research and field-based consultancy. He is a Senior Associate Fellow at the Royal United Services Institute and chairs the International Board of Babcock (Defence and Security) PLC. Peter Neyroud retired from Police service in 2010 after 30 years. He presently directs a major research programme at the Institute of Criminology, Cambridge University, and teaches and consults nationally and internationally. He is also the General Editor of the Oxford Journal of Policing. and Accounting Officer for the NPIA, when it was successfully vested in 2007, merging five different organisations (2,000 staff and £1bn budget) and bringing together the Leadership, Training, ICT, Science, Specialist crime and national infrastructure for the Police service for the first time. Peter was a member of the Independent Commission on Policing (2011-13) and the Victim’s Taskforce set up by the Labour leader. He is a Trustee of the Internet Watch Forum, a member of the Campbell Crime and Justice Steering, a Jury member for the Stockholm Prize in Criminology and a member of the Harvard Session on Policing and Public Safety. 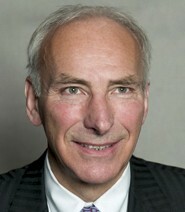 He was awarded the Queens Police Medal in 2004 and a CBE in the Queen’s Birthday Honours List in 2011. Following a distinguished career in the financial media and PR, John Parry presently works as an author, editor and consultant, specialising in financial markets, commodities and derivatives. After beginning as a reporter for Metal Bulletin, John rose to become Editor. In 1980, he became founding Editor of what quickly became the leading publication in global futures and options markets – Futures and Options World. During a busy freelance and consultancy period in the late 1980s, John wrote and presented derivatives training programmes for various UK commodity exchanges and ran the Options & Futures Society. He was also active as a syllabus writer and examiner for the Securities Industries Board diploma. In 1989, he wrote the feasibility study for trading options on the Hong Kong Stock Exchange. In 1991, John co-founded specialist PR firm Rostron Parry, representing financial markets firms such as Eurex, BZW (Barclays), London Metal Exchange, Fimat (Newedge), Dresdner Kleinwort Wasserstein, ICE, European Climate Exchange and many others. During this period, derivatives trading, exchange competition and takeovers, clearing and risk management all became subjects for mainstream news coverage and analysis. 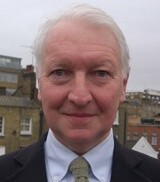 He left Rostron Parry in 2011 and continues to write, edit and consult on these markets, working with Witan since 2012. 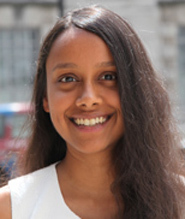 Natalie Samarasinghe was appointed Executive Director of the United Nations Association – UK (UNA-UK) on 1 July 2013, having worked for the Association since 2006. She is the first woman to hold this position. As Executive Director, Natalie leads the UNA-UK team in undertaking advocacy and outreach in support of the organisation’s mission: to build an effective United Nations and a safer, fairer and more sustainable world. She is currently researching a number of UN reform issues, including Security Council working methods, senior appointments and change management. She is also co-editing with Sam Daws an eight-volume compendium of articles for SAGE publications on the United Nations. In addition to her work with UNA-UK, Natalie serves as a Trustee of the Association for Citizenship Teaching and as an Adviser to the Sri Lanka Campaign. She also provides voluntary support and training to a number of other NGOs. Prior to joining UNA-UK, Natalie worked in various roles in the public, private and education sectors, and also as a freelance journalist. She has degrees in human rights and modern history from the University of Oxford and the London School of Economics. Natalie has worked with Witan Media since 2012, as Editor of publications on the UN Millennium Development Goals and Post-2015 Development Agenda, and as Contributing Editor for a volume on the Middle East and North Africa. Gareth Stansfield is Professor of Middle East Politics and the Al-Qasimi Chair of Arab Gulf Studies at the University of Exeter, where he is also the Director of the Institute of Arab and Islamic Studies (IAIS) and Director of Research of the Strategy and Security Institute (SSI). 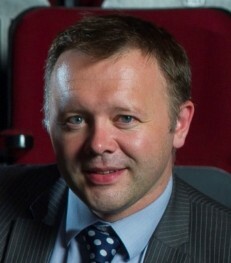 He is currently the Director of Middle East Studies and Senior Associate Fellow of the Royal United Services Institute (RUSI), and before that was Associate Fellow with special reference to Iraq, Kurdistan, and the Gulf, of the Middle East and North Africa Programme at the Royal Institute of International Affairs (Chatham House) between 2002 and 2012. He was part of UK MOD horizon-scanning initiatives on Iraq (2003) and Libya (2009) and was invited by ISAF to visit Afghanistan to research the reintegration process (2011). In 2009, he served as a Senior Political Adviser to the United Nations Assistance Mission for Iraq (UNAMI), with special reference to the situation in Kirkuk and Iraq’s disputed territories. A regular commentator and adviser on Middle East politics over the last decade, he has focused in particular on the politics and political economy of Iraq, the Kurdish regions of the Middle East, dynamics of Gulf/Arabian peninsula security, and questions of post-conflict stabilisation and nation/state building.